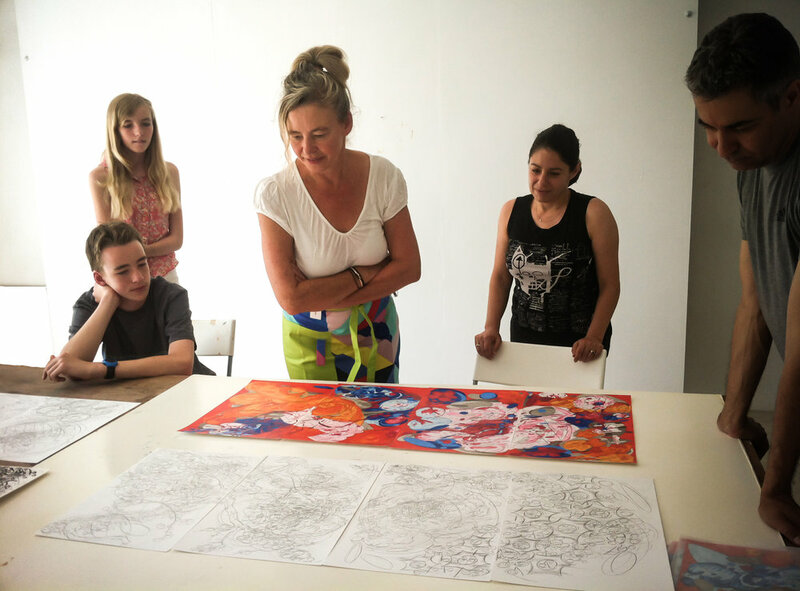 As an ‘arts led field research centre’ Joya: arte + ecología extends the opportunity of a residency to students/groups so that they can share the experience many other universities have enjoyed over the past four years. We have successfully hosted (and repeat) group residencies from the following universities… University of London, Goldsmiths MFA. University of the Arts London, Camberwell MA, Chelsea BA MA, Wimbledon BA MA. Buckinghamshire BA. Free University of Berlin BA MA Earth Sciences. The Slade School of Art BA. Manchester School of Art BA. Aberystwyth BA. University of Granada Ldo. MA. We have agreements of cooperation and collaboration with the last two of these universities. We have recently made a short video with artist Miranda Whall and some of her students from Aberystwyth. 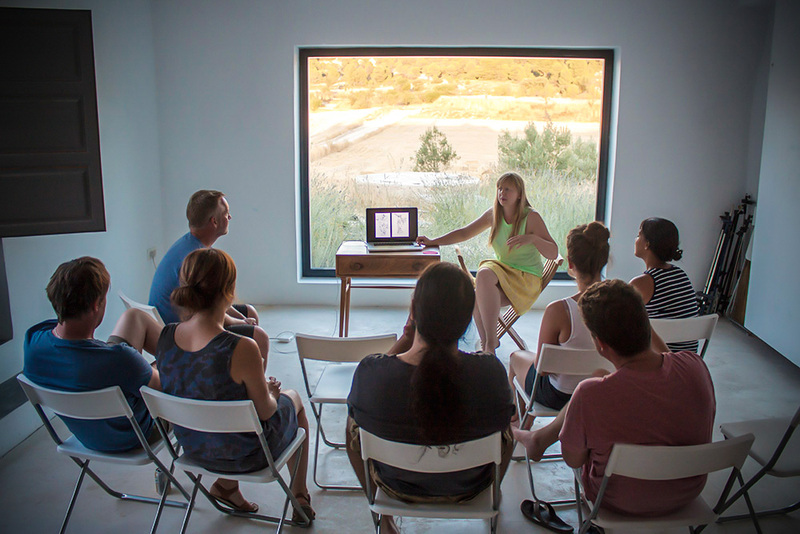 The group residencies with universities augment our existing residency programme and curatorial agenda as well as helping us to manifest trans-disciplinary projects. Members of academic staff normally accompany group residencies from respective universities but this isn’t always necessary. We see our roll as explaining how you can live ecologically and responsibly. We explain the alpine desert environment around us and we introduce them to on-going projects being made in collaboration with other artists or researchers. Often we are invited to the university beforehand to give a talk about Joya: arte + ecología and introduce the group residency offer. From an educational perspective some of our universities have used us as an opportunity for students to understand the application procedure for residencies internationally. We introduce the concept as a means for students to gain experience and continue with their personal and professional practice after their degrees.